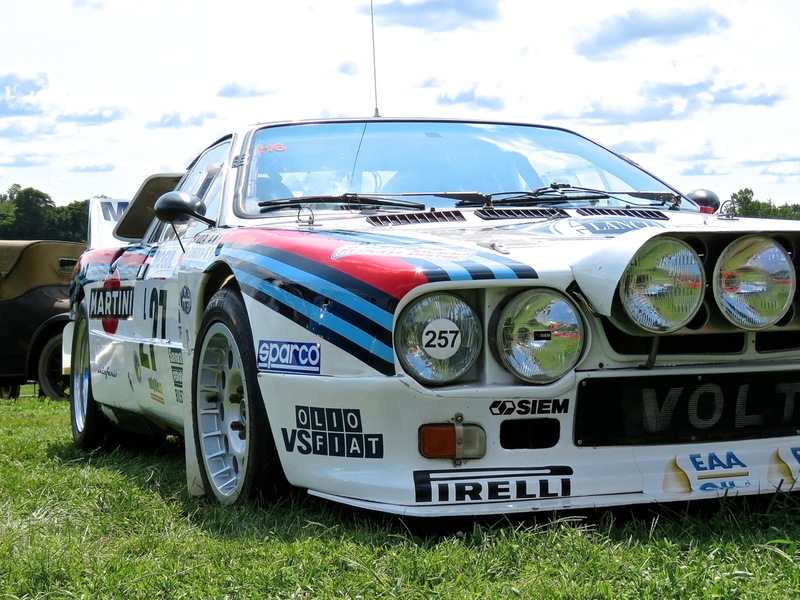 The Lancia 037 is one of the most legendary rally cars of all time. 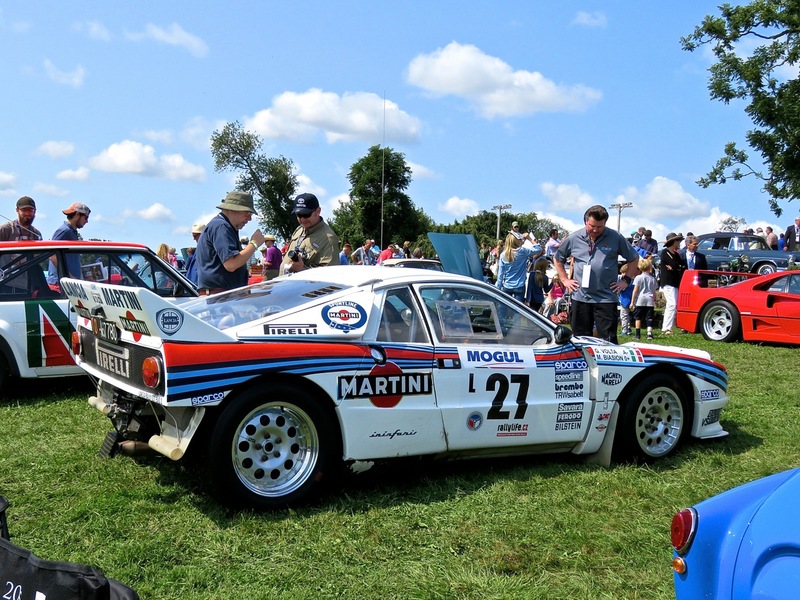 We were privileged to see this one, dressed in stunning Martini livery, at Radnor Hunt. I love how extreme the 037 is, I mean it’s a supercharged exotic rally car, and in the most Italian way possible. 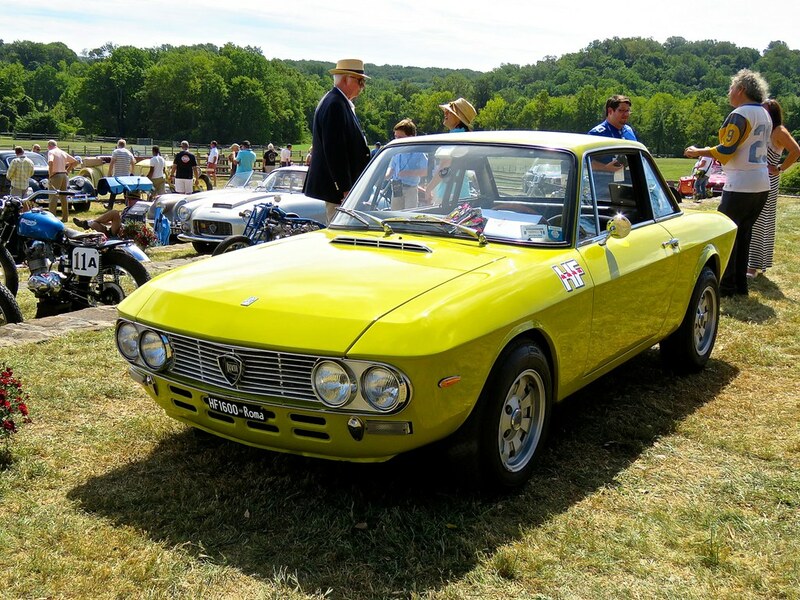 I loved the green on this Lancia Fulvia 1600 HF. 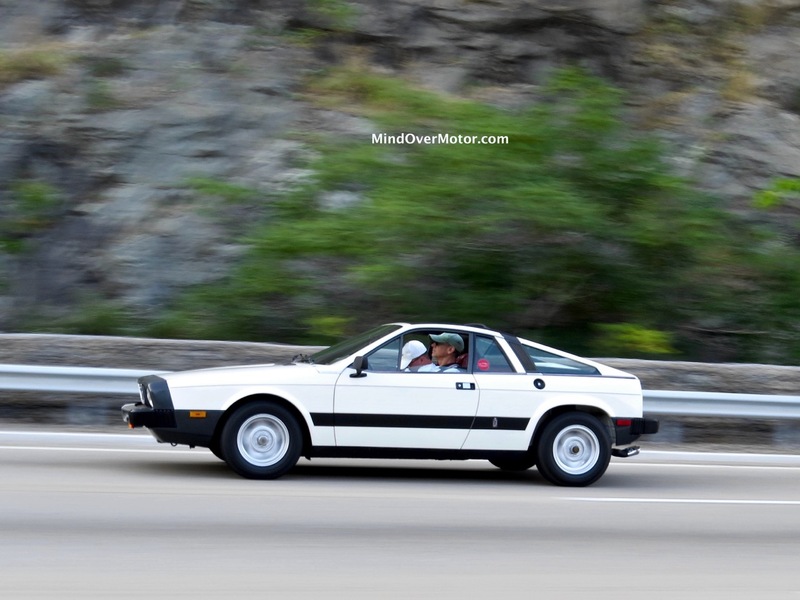 This is front wheel drive performance done the Italian way. An Italian rally legend in one hell of a color! 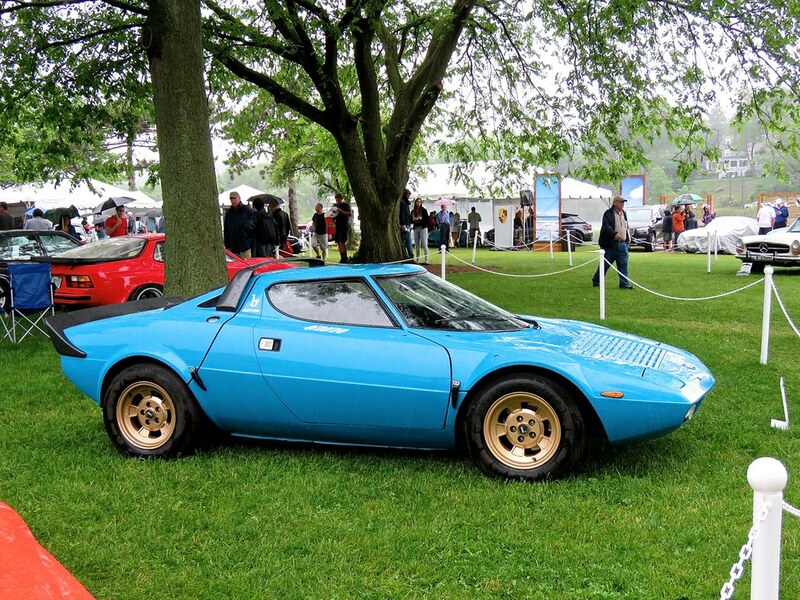 It rained like hell at the Greenwich Concours, and that that only made this teal Stratos “pop” even more. 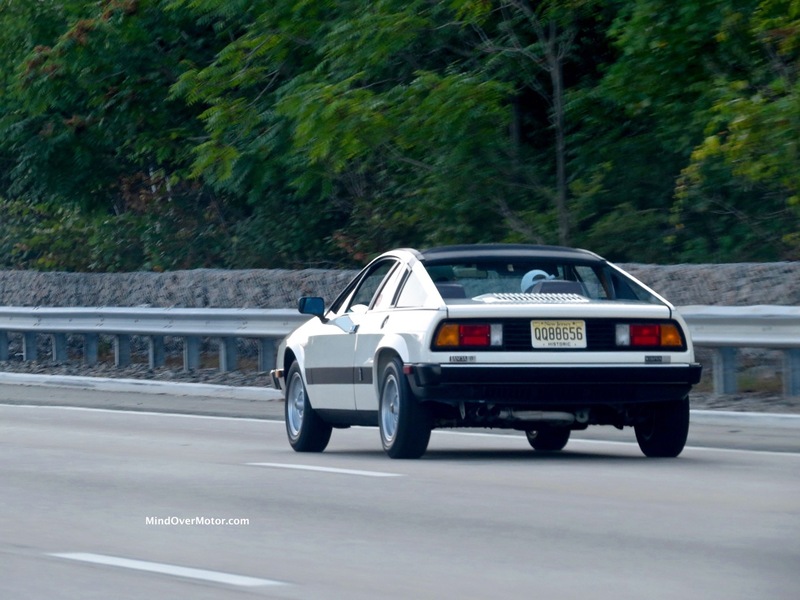 While riding home from Lime Rock, Shane and I spotted this little white sports car about to exit Interstate 287 near the local rock quarry in Pompton Lakes. This is a late Seventies era Lancia Scorpion, which was a poor seller in the USA and therefore hardly-seen. It was at the show earlier in the day–but for some reason my camera’s watchful eye failed to catch it. 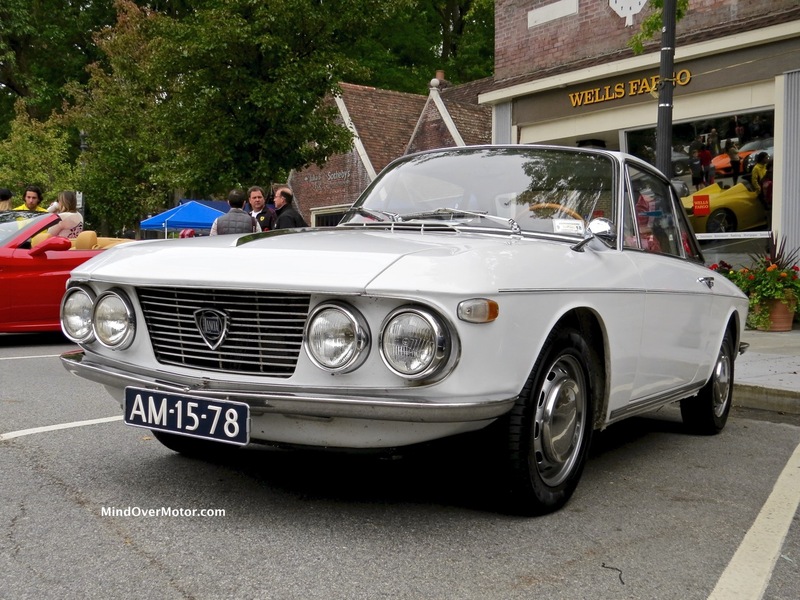 Enjoy the shots of this late-era Italian classic. 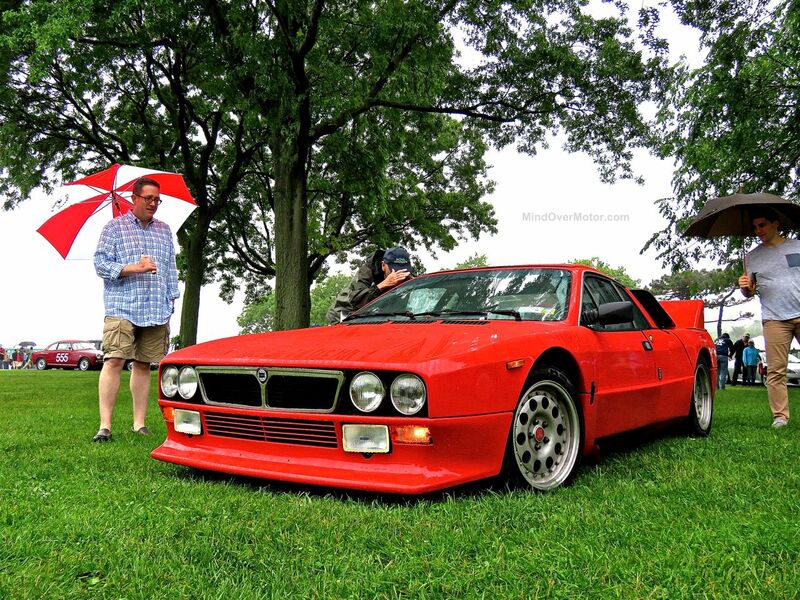 It absolutely poured for much of the second day at this year’s Greenwich Concours, but the show field was still pretty decent. As the skies were leaking, we passed the time stuffing our faces with delicious and complementary lobster sandwiches, while also taking royal advantage of the wine tasting tent. When the rain let up we we were able to get our photos of the cars dripping wet. 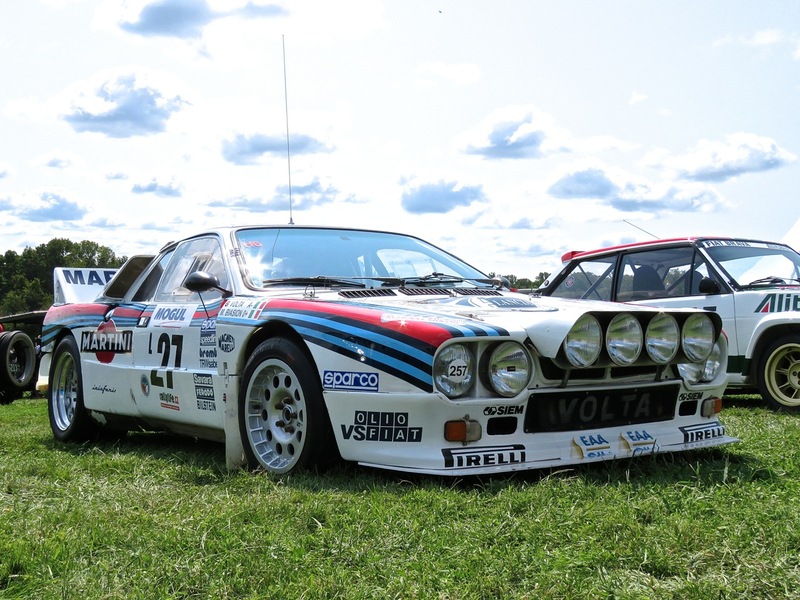 This Lancia 037 is the homologated road version of the legendary Lancia rally car, and it immediately caught our eye when we first walked into the show. Enjoy the gallery of this trail-rated Italian Stallion! The Lancia Stratos was the most epic of rally cars, basically an Italian supercar meant to race on dirt and road. 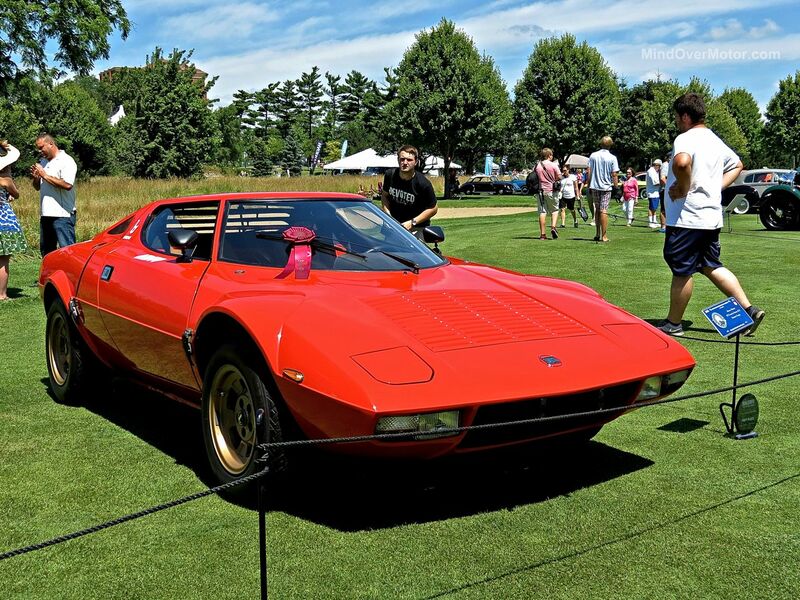 We saw this striking orange Stratos at the Concours of America at St. John’s, and it stole everyone’s attention when it was driving around the show field. An Italian stallion, to be sure! 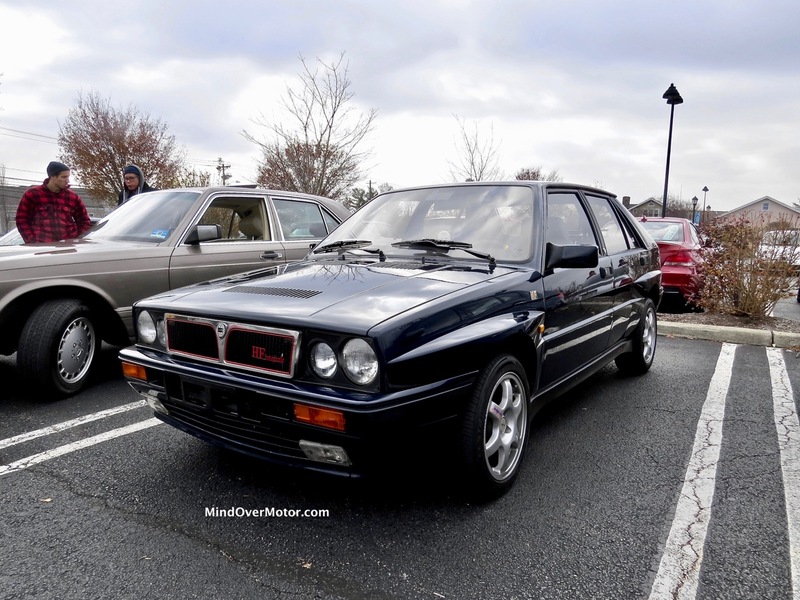 Evo Magazine’s Harry Metcalfe shows takes us around his new Lancia Delta Integrale Evo II. 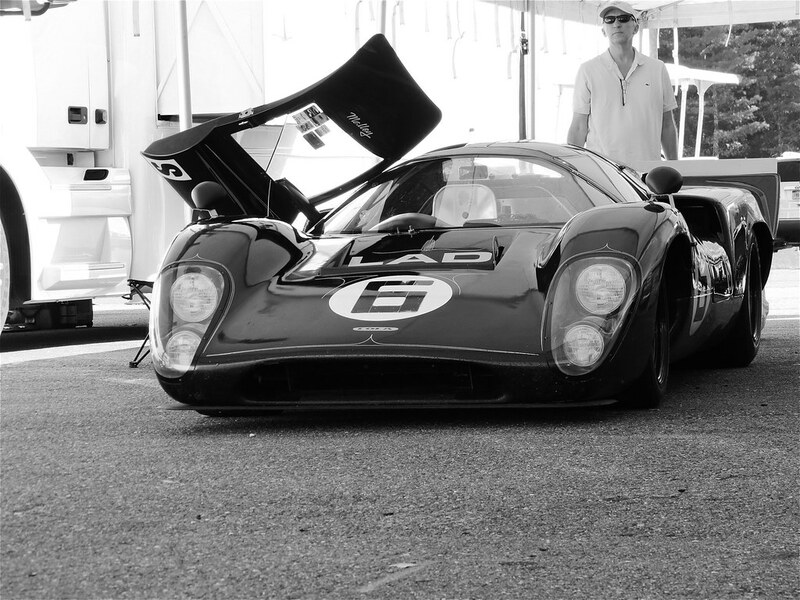 This car has some truly fascinating design elements, and as Harry says, “It became a legend in its own time.” Enjoy. Some really unbelievable cars and driving. Awesome footage too. Drive really got it right with this video. Enjoy.